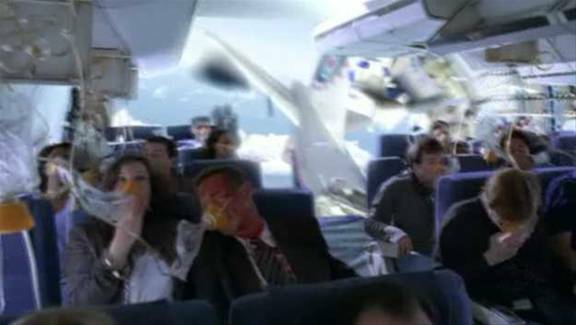 Photos from inside a jet aircraft just as it collided with Air France flight 447 - Fiction! - Truth or Fiction? Photos from inside a jet aircraft just as it collided with Air France flight 447 – Fiction! A forwarded email with photos said to have been taken inside the cabin of a Boeing 737 as it collided with with Air France flight 447 going from Rio De Janeiro to Paris. The photos are a hoax. 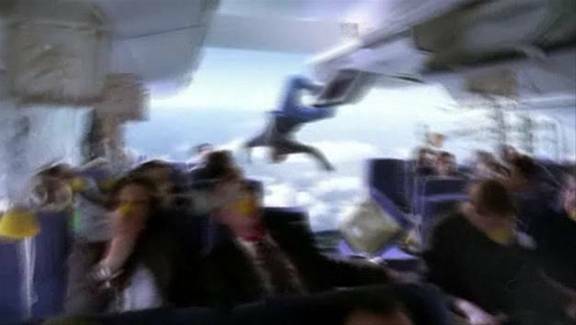 These images are not from an airline disaster but taken from the pilot episode the popular ABC television program “Lost.” Similar images can be found on the ABC Lost web site. Air France flight 447 was reported missing after it encountered towering thunderstorm and the Airbus 330 aircraft cashed into the Atlantic off the coast of Brazil in June 2009. The incident is still being investigated. The lack of focus and poor depth of field in the photos leads us to believe that the images were very most likely electronically snipped from a YouTube video of the Lost pilot episode that was posted on the internet. 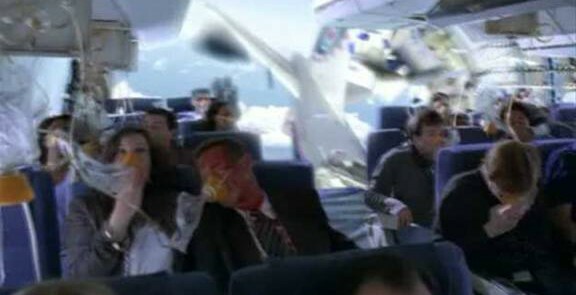 Two shots taken inside the plane before it crashed. Unbelievable! Photos taken inside the GOL B 737 aircraft that was involved in a mid air collision and crashed….. These photos were found in a digital Casio Z750, amidst the remains in Serra do Cachimbo. Although the camera was destroyed, the Memory Stick was recovered. Investigating the serial number of the camera the owner could be identified, as Paulo G. Muller, an actor of a theatre for children known in the outskirts of Porto Alegre.It can be imagined that he was standing during the impact with the Embraer Legacy, and during the turbulence he managed to take these photos, seconds after the tail loss the aircraft plunged, so the camera was found near the cockpit. the structural stress probably ripped the engines away, diminishing the falling speed, protecting the electronic equipment but not, unfortunately, the victims. Paulo Muller leaves behind two daughters, Bruna and Beatriz, from a previous relationship. The two photos attached above were apparently taken by one of the passengers in the B737, after the collision and before the aircraft crashed.. The photos were retrieved from the camera’s memory stick. You will never get to see photos like this. In the first photo there is a gaping hole in the fuselage through which you can see the tailplane and vertical fin of the aircraft. In the second photo one of the passengers is being sucked out of the gaping hole. Photos taken inside the plane. New Law Makes it Illegal to Protest in Obama's Presence-Disputed! Bureau of Alcohol Tobacco and Firearms Approved Sales to Mexican Gun Runners -Truth!